Now, more than ever before, the projects run by governments at every level are under intense scrutiny. We’ve all heard the horror stories: bloated projects coming in over budget by millions of dollars; inefficient programs delayed by months, if not years; and projects that are never even completed but still cost taxpayers money. At the same time, transparency and openness efforts are requiring ever more documentation, while demands for efficiency grow ever louder. All this is happening while budgets are tighter, resources are scarcer and more government workers are retiring. It’s enough to make you break out in a sweat. What’s somebody tasked with executing a large and complex project to do? If you’re a project manager, worry not: We’re here to help. When faced with challenges such as doing more with less, smart agencies and smart public-sector employees — like you — find ways to innovate. Our new guide is chock-full of practical wisdom, case studies of effective management and more. It’s geared toward giving you practical advice about project management from real voices on the ground in gov. We interviewed nearly a dozen project managers to get their insights on everything from how to manage people on a project who don’t actually report to you to how to get — and keep — buy-in from stakeholders. 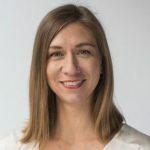 We’ll also talk about what additional techniques your organization should be using to maintain professional project management with fewer resources. What do you need to know about Agile project management, for example? How can you improve your mission-critical communication skills? This GovLoop guide will help. 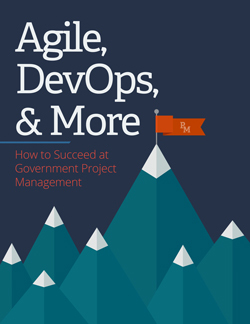 We’ll give you high-level strategies from some of government’s best project managers about how to conduct effective project management with new technology that’s now available to you.